New work on display . Come and check out some of my handy work in the Extra section , I currently show most of the steps in making a pair of 14k Gold spinning earring out of the material in the picture above.. Hopefully you will enjoy it as much as I had making them.. 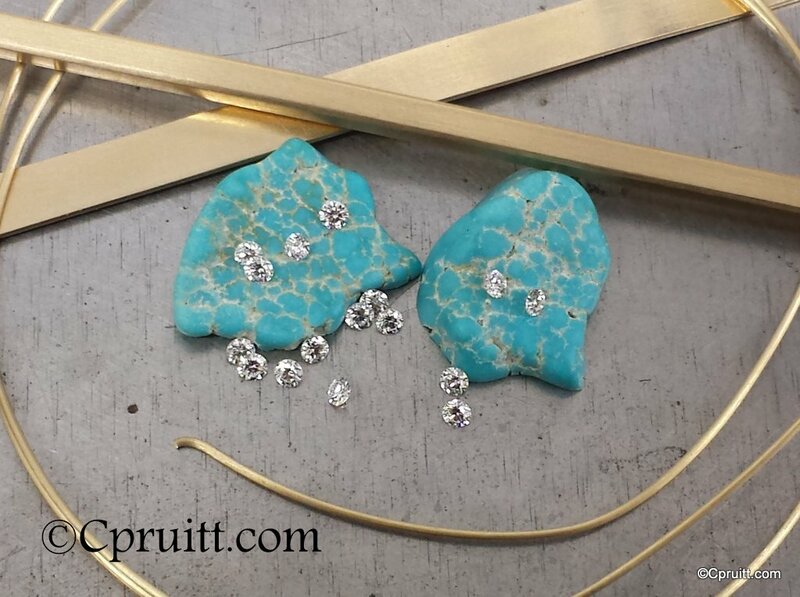 This entry was posted in New designs and tagged 14k, 14k Gold, 1st place, 2014, 2014 Santa Fe Indian Market, alloyed, Award winning, award winning design, awesome, Bead set, chasing, Chris Pruitt, Cold forged, contemporary, Cpruitt.com, diamonds, earrings, Gold, laser welding, Lone Mountain Turquoise, milled, Natural turquoise, Planished, SWAIA by cpj1. Bookmark the permalink.